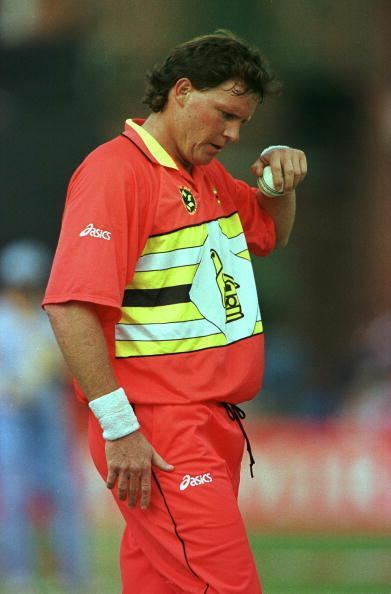 Eddo André Brandes (born 5 March 1963) is a former Zimbabwean cricketer who played in 10 Tests and 59 ODIs from 1987 to 1999, spanning four World Cups. In the days when a number of Zimbabwe's players were amateurs with other full-time professions, Brandes was a chicken farmer. He took a hat-trick in an ODI against England in January 1997 that is still regarded as the highest by total average of the batsmen dismissed. Only two months short of his 34th birthday, he remains the oldest player to have taken an ODI hat-trick. 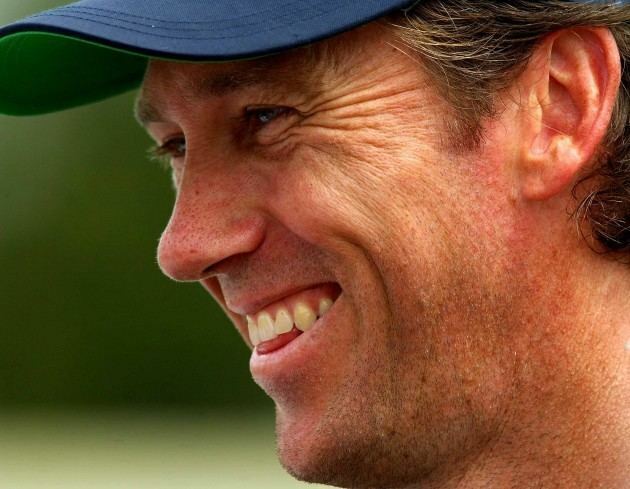 He gained fame for his noted and oft quoted exchange with Glenn McGrath, after McGrath gets frustrated at being unable to dismiss Brandes. The bowler asked: "Why are you so fat?" to which Brandes replied: "Because every time I make love to your wife she gives me a biscuit." As of 2003 Brandes had moved to Australia to pursue a coaching career, and was formerly coaching the Sunshine Coast Scorchers who play in the XXXX Gold Brisbane Grade Competition. As of 2009 he runs a tomato farm on the Sunshine Coast.